Having a teething baby can feel like a nightmare. You can hear that your baby is in pain, but there is nothing that you can do about it. While teething may be a natural process, there are ways that you can help alleviate your baby’s pain. Often, babies will become irritable when they begin teething. You can try freezing a teething ring in the fridge to help cool the inflamed gums. Other than this remedy, you can try using essential oils. Natural remedies have been used for hundreds of years to help teething babies experience less pain. These essential oils are made by distilling extractions of different plants. Like most products, essential oils can be harmful if swallowed in high doses, so it is important that your baby is given the right amount. Lavender is by far one of the most versatile oils that you can keep in your kitchen cupboard. It has a highly complex chemical structure that makes it useful for treating diaper rash, regular rashes and infections. It is even gentle enough to be used in an undiluted form on your skin. Lavender essential oil can also help to treat colic, sleeplessness, colds and irritability. This powerful stimulant is even safe to use during pregnancy and can help stimulate cell growth. 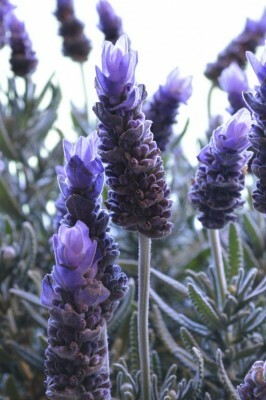 To apply lavender essential oil, dip one of your fingers into the oil. Then, use that finger to apply the oil onto the baby’s cheek. If you blend a few drops of lavender oil in with cold water, you can also use a clean towel dipped in the water-oil mixture and apply it onto the baby’s inflamed gums. Just make sure to be extremely gentle! Clove oil is not recommended for children who are under the age of two years old. Because of this, clove oil is probably the last oil you should try and you should use it with extreme caution. Clove essential oil is highly effective at treating toothaches and pains, and it has actually been used for centuries to treat adult toothaches. Adults use the oil or even bite on a whole clove to get toothache relief. When used in this way, cloves have a numbing and a warming quality. To use cloves, apply a very, very small amount of clove oil onto the sore gums. If you only have whole cloves at home, ground them into a powder. Then, mix in some water until the powder looks like a paste. This paste can then be gently applied onto your baby’s gums. You need to exercise caution though because too much clove oil can cause your baby’s stomach to feel upset. Roman chamomile is one of the most popular essential oils for teething. It is very calming and smells similar to apples. It is known to have anti-inflammatory and analgesic effects. Because of this, it is ideal for treating internal problems like colic and teething. Chamomile tea is also well known for helping to calm and relax the mind. It has been used in folk remedies for years as a way to reduce anxiety, stress and tension. Chamomile is remarkably gentle and can also be used for allergies, itchy skin or other skin conditions. To use Roman Chamomile, parents should add one drop of the essential oil to a teaspoon of Jojoba oil. Blend the mixture together before dipping your finger in it. Next, massage some of the mixture onto your baby’s jawline, chin and cheek. This should help to remove some of your baby’s pain. This type of chamomile is known for having antibacterial and soothing properties. It helps to speed healing and is helpful for hypersensitive skin. The plant may be distilled within a hydrosol or an essential oil. As a rule, the essential oil blend will be stronger than the hydrosols. Since hydrosols are weaker, they carry fewer safety concerns. A German chamomile hydrosol can be used directly on the baby’s gums. This type of mixture can also be used with water for a facial steam, or it can be blended into lotions and creams. When using vanilla extract on your baby, make sure that you only use the actual vanilla extract and not imitation vanilla. Real vanilla extract is excellent for calming nerves and can help soothe a crying baby. It relieves pain by creating a soothed, warm sensation. Vanilla is also known as a natural way to reduce anxiety and boosting feelings of well-being. Real vanilla extract can be used with water. Add a few drops to water and blend them together. Then, dip your finger in the solution before rubbing it on your baby’s gums. You can also use a cotton swab to run the baby’s gums with the mixture as well. While essential oils are generally safe to use, you should exercise caution when using clove oil. Watch out for symptoms like irritated mucous membranes, skin sensitivity, embryotoxicity and problems with blood clotting. Since clove oil can carry side effects, it is better to use some of the other options on this list instead. Always use the smallest amount of oil possible. Whenever you are not sure about the amount, dilute it in water and test it on yourself first. You should also always make sure that you buy your essential oils from a reputable source like an organic foods store. The essential oils also need to be therapeutic grade instead of just scent grade.